Angelique has been dancing since 2004. She danced in a secondary troupe for 4 years called Richmond Pure. 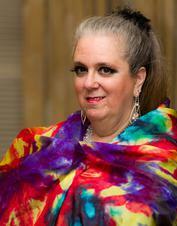 She has danced in several venues including the VCU intercultural Arts Festival, and restaurants. Iviannah has been dancing for 10+ years. She is a member of the bellydance School of Richmond and has taken private instruction from Ravia and Janice Bernardini. She dances in many venues around Richmond. Ondreya has been belly dancing since 2010. She discovered an immediate passion for the dance, especially, the sisterhood, personal growth, and therapy for which belly dance offers the willing student. Ondreya has taken classes and workshops from a variety of instructors and enjoys incorporating new techniques into her dance. She also performs with the Richmond Raq Stars and is a member of the Queens of the Universe. Zaida started dancing in 1998 and currently is a member of the Queens of the Universe. She has studied with many locally and nationally known artists and has performed at many local festivals, charity events and restaurants. She is known for her graceful, fluid, precise style and loves to do drum solos. She's been belly dancing for 25 years, a one-on-one dance teacher for 20 years. Has created custom costumes for herself and others. She's studied with teachers locally and from all over the world. Performances include a mixed pot of fusion in too many places to mention. You never know what she will do! 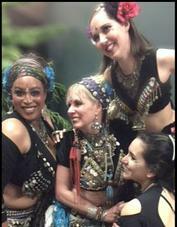 Ajna Tribal is a professional American Tribal Style® belly dance troupe, located in Richmond, VA. This troupe teaches and performs both locally and nationally with their unique style of improvisational folkloric dance and costuming. Ajna Tribal loves the opportunity to share their joyful and entertaining art form by giving back to the community through participating in the Jewels of the Oasis. Ajna tribal is available for private and public functions.